As this blog has noted before, by far the most appealing aspect of the Despicable Me franchise has been its minions. 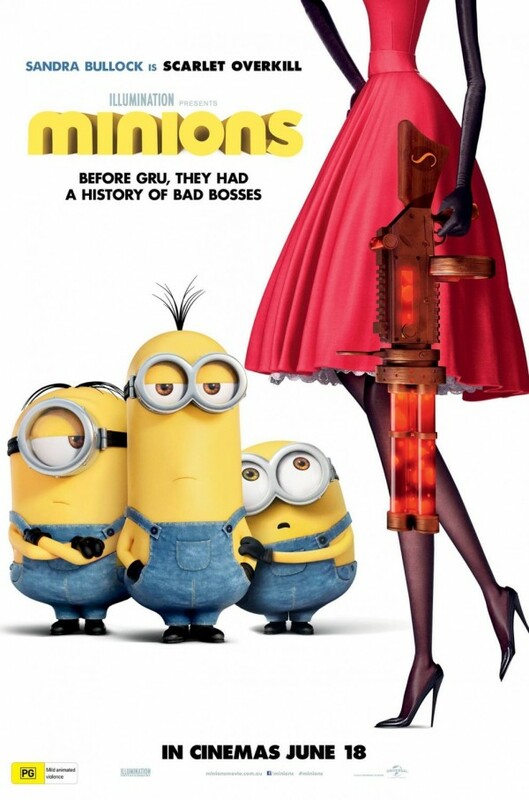 Frankly, I’m surprised it took the studio two movie releases (Despicable Me & Despicable Me 2) to figure this one out and determine that the third instalment should be just Minions, but hey – that’s Hollywood for you. So, if you’re in for a collection of slapstick jokes told while uttering plenty of gibberish, this one is for you. In the same package you would get our little banana fans' evolutionary story, taking them from billion years past all the way up to a teen Gru (with heavy emphasis on their adventures in the UK just prior to that). Just don’t come with any expectations of actual quality cinema. Even if the previous episodes did, ever so slightly, err in that direction. Overall: Minions is all about having cheap fun while milking the cash cow. 2.5 out of 5 crabs.